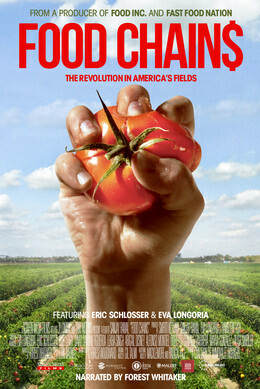 A new documentary film, FOOD CHAINS is coming soon to a theater near you, beginning NOVEMBER 21st If you are interested in farm workers and the food industry, this is an important film to see. Its executive producers, Eric Schlosser, Eva Longoria and Abigail Disney, are emphasizing its importance in galvanizing American’s to transform the industry. 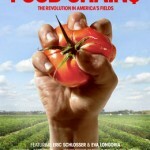 SYNOPSIS: Food Chains is a ground-breaking documentary film that exposes the abuses rampant in farm labor and reveals the forces behind that exploitation through the narrative of the Coalition of Immokalee Workers (CIW), an intrepid group of tomato pickers in Florida who are battling the 5 trillion dollar global supermarket industry – and winning. For a preview of the film, click here.